This shop has been compensated by Collective Bias, Inc. and its advertiser. All opinions are mine alone. 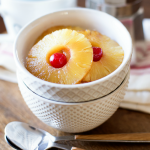 #BringYourBestBowl #Target #CollectiveBias | This Pineapple Upside Down Oatmeal is a delicious way to add some fun to your morning breakfast routine! Hi friends! 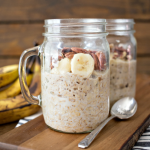 Are you a breakfast person? It’s my MOST favorite meal of the day so when I heard that Quaker® Oats was hosting a National Bring Your Best Bowl Contest I was IN! Right now you can enter to win $250,000 AND top recipe entries will be created and sold in stores for a limited time in Fall 2016! My head was buzzing with recipe ideas for my “Best Bowl” creation so I headed down to Target to get my shop on. 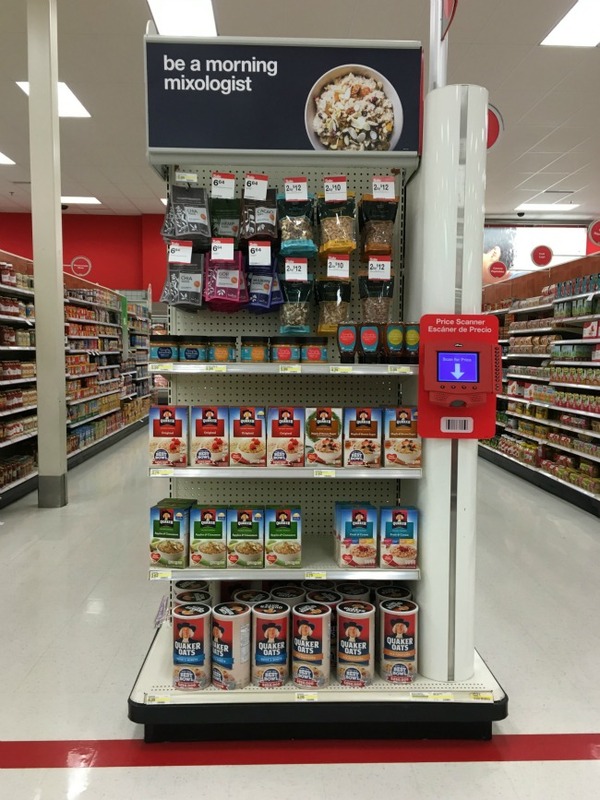 Right now the breakfast endcap at Target is full of best bowl inspiration! 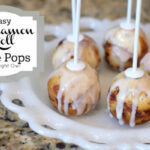 Anything you could want to step up your morning breakfast routine. 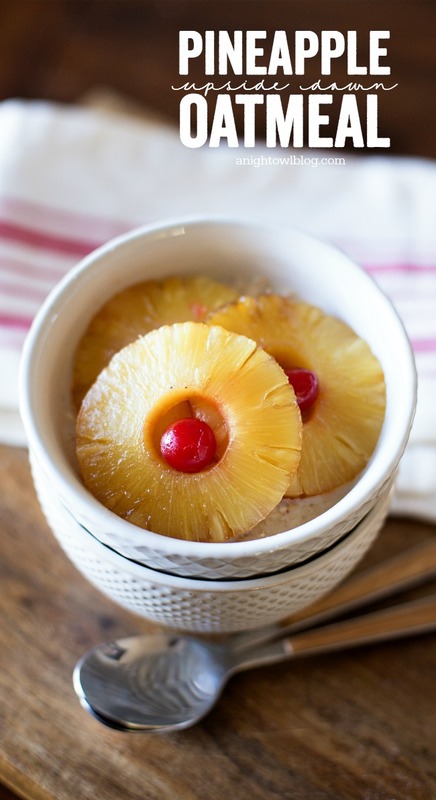 Since I already love enjoying a bowl of Maple & Brown Sugar Quaker® Oats in the morning I thought a natural take on the tasty bowl would be a sweet treat – like a pineapple upside down cake! So not only did we pick up some Quaker® Oats, but we grabbed a can of pineapple slices and a small jar of maraschino cherries. Then to assemble our bowl of Pineapple Upside Down Oatmeal, I laid out pineapple slices and cherries on a cookie pan and sprinkled them generously with brown sugar. I popped that into the oven and broiled on high. While those sweet slices were caramelizing in the oven I added milk and a splash of imitation rum extract to a package of Maple & Brown Sugar Quaker® Oats and popped it in the microwave. Once the oatmeal was done, I pulled the caramelized pineapple slices out of the oven and popped them right on top! Lay out pineapple slices and maraschino cherries on cookie sheet, sprinkle with brown sugar and put under broiler on high. 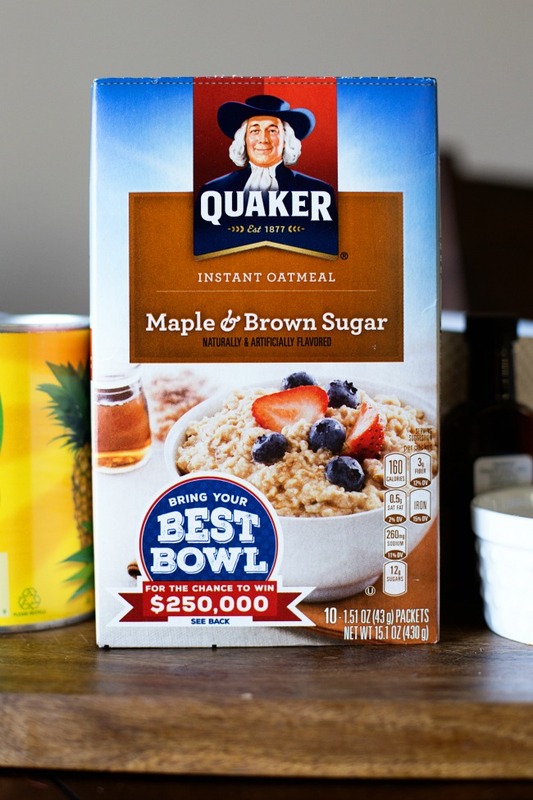 Add milk and splash of imitation rum extract to your package of Maple & Brown Sugar Quaker® Oats and cook according to the directions on the package. 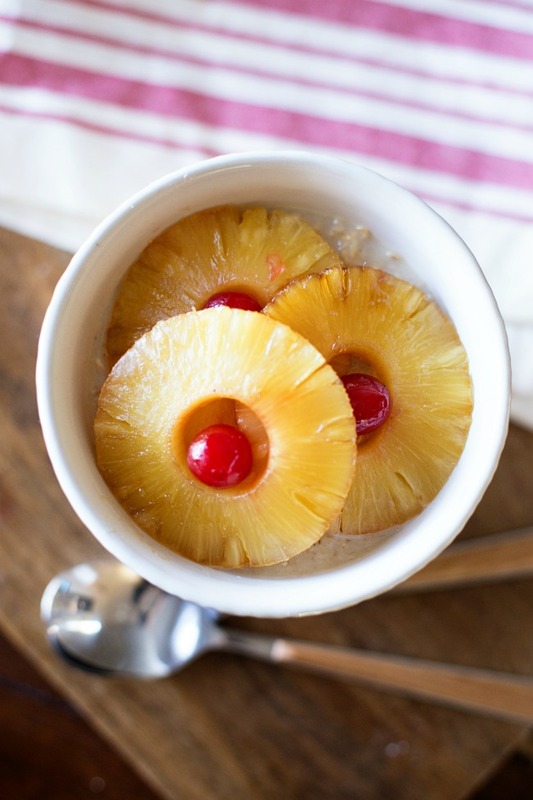 Once pineapple slices are caramelized, add on top of cooked oatmeal and enjoy! And the result? The most delicious bowl of oatmeal I’ve ever had! 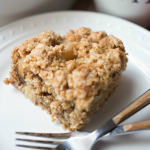 So yes, you can eat cake for breakfast! 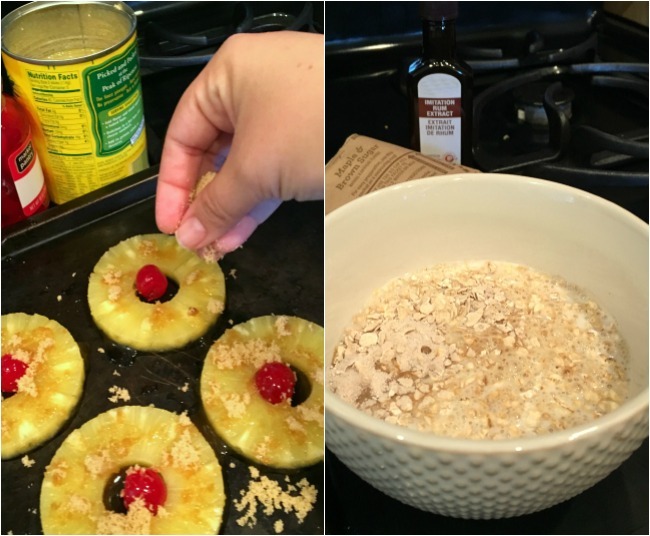 The splash of imitation rum extract added just a hint of goodness to the already delicious Maple & Brown Sugar Quaker® Oats and the caramelized pineapple slices – oh my! 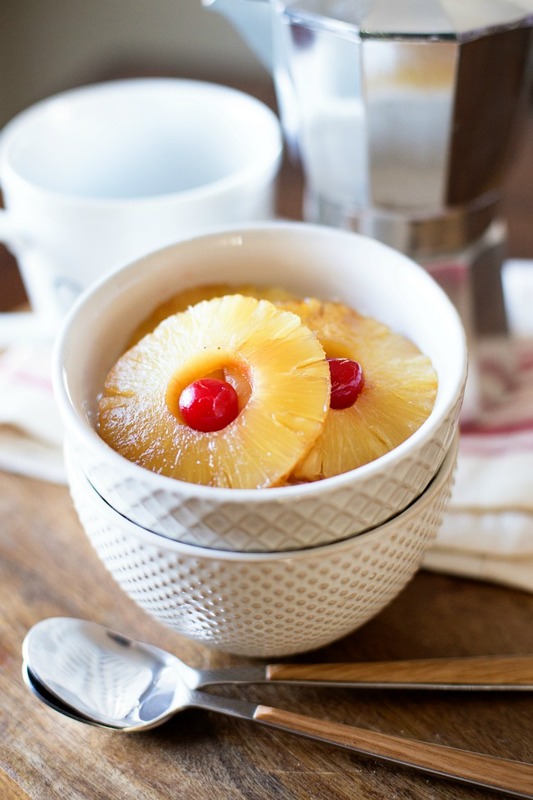 Believe me, this Pineapple Upside Down Oatmeal is a delicious way to add some fun to your morning routine! So what are you waiting for? Are you ready to bring your “Best Bowl” to the game? Enter the Quaker’s National Bring Your Best Bowl Contest today for a chance to win $250,000! 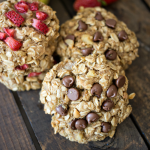 Remember that the top recipe entries will be created and sold in stores for a limited time in Fall 2016. You have until March 12th to enter so get your entries in! What “Best Bowl” will you create?